It doesn’t take a gym full of equipment to get great results, just look at Yehoshua. 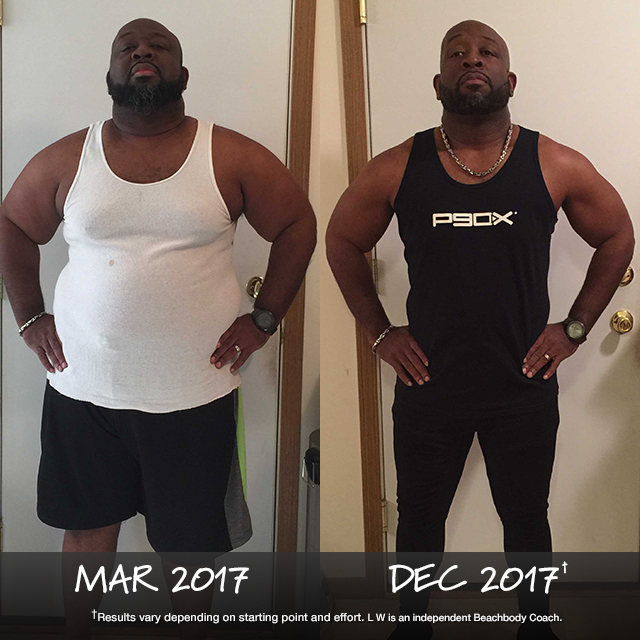 Armed with a BOD membership, Beachbody’s nutritional supplements, and the support of his Challenge Group, he lost 27 pounds, feels great, and is excited to share his fitness secret with you! He says: “Body Beast is the program I first started with, and it has become my bread and butter. The first couple weeks of the program were challenging because I was getting used to the structure and consistency of the workout schedule. Then, it became a habitual process in my daily schedule, along with drinking Shakeology every day, and also being part of a team of some of the most amazing, motivated individuals. With Beachbody on Demand, I can do any workout in the catalog wherever and whenever I want. 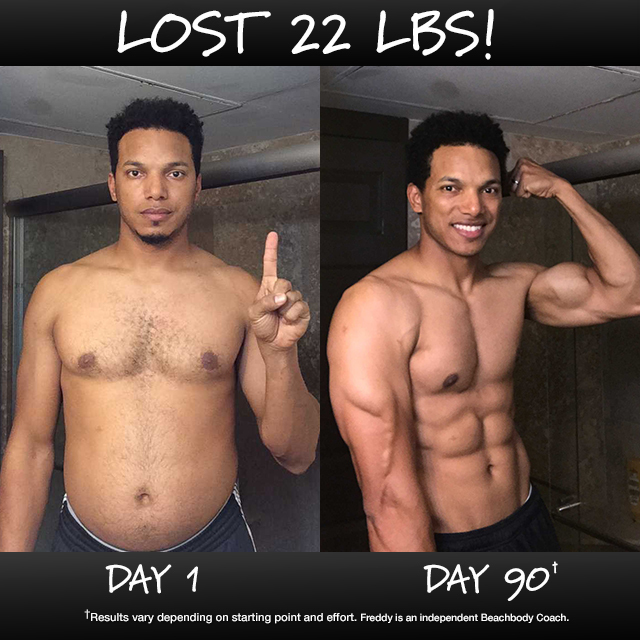 Freddy Acevedo Lost 22 Pounds in 90 Days! After long days of work in the restaurant industry, Freddy would come home exhausted, and he was struggling to summon energy for the things he cares about most: his two young boys and his wife. That’s when he found P90X. After 90 days of extreme in-home workouts, he found more than his missing energy, he also carved out six-pack abs and some serious muscle along the way! He says: “I have two boys with a lot of energy, and I wanted to have the endurance to play with them as well as the energy spend time with my wife too. I wanted to try P90X because it seemed challenging, I liked the variety of the workouts. The intensity is great, and Tony just keeps you going! As a pastor, it was important for L W to practice what he preaches. By committing to daily exercise, good nutrition, and following the expert advice of Mr. Tony Horton, he was able to lose 100 pounds in just 9 months! He says: “I’ve struggled with my weight all of my adult life. As a pastor, I wanted to look healthy while standing before the congregation. If you think about it, the Bible is a book that teaches us about discipline in our everyday lives. And weighing over 300 pounds, I felt like I was showing a lack of discipline in mine, and I was tired of feeling contradictory to what I preach. By the grace of God, I survived a major brain surgery, and I thought the least I could do to show Him my appreciation was to take care of my body. I started eating really healthy and drinking a gallon of water every day. Doing that, I was able to lose 40 pounds, and then, when my doctor told me it was okay to start working out, I started working out in my living room with the P90 program. Tony Horton made working out exciting and easy for anybody with a made up mind to do it. 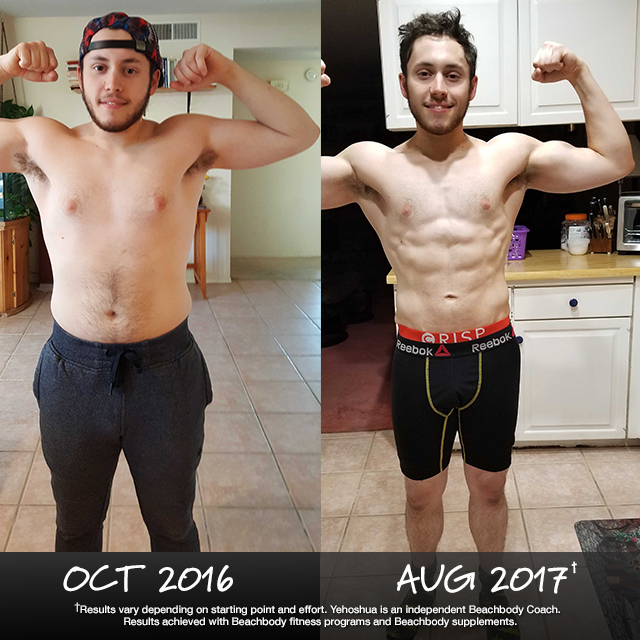 After doing P90 and P90X, I’m down 100 lbs, and words cannot describe the confidence that I have! James Hough Got Ripped in 90 Days! Who’s got two thumbs and takes the best mirror selfies now at age 51? THIS GUY. 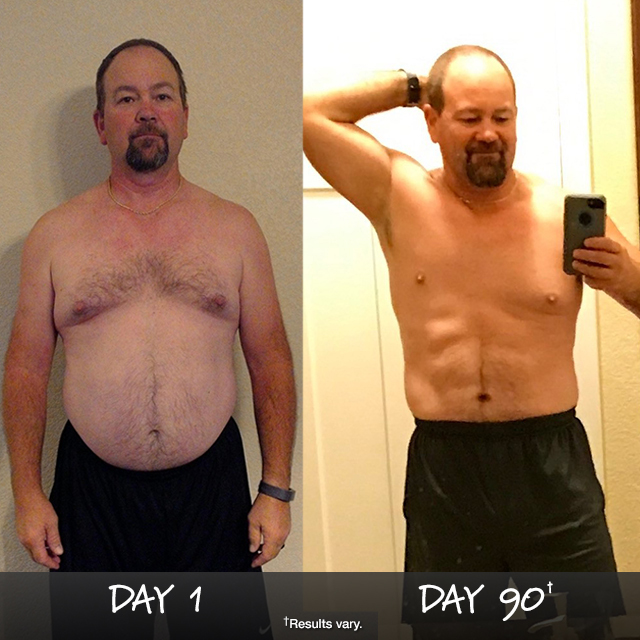 In just 90 days with Body Beast, James traded in his “keg” for six-pack abs, and his quality of life is on the rise! He says: “Before I started Body Beast, I was overweight and out of shape so bad that I was embarrassed to be seen in public. At 5’8″ and 205 lbs I thought I looked like a bowling ball. One night I was watching TV and saw a commercial for Body Beast. I told my wife I was going to order it, and I decided to make a life change and get back in shape.